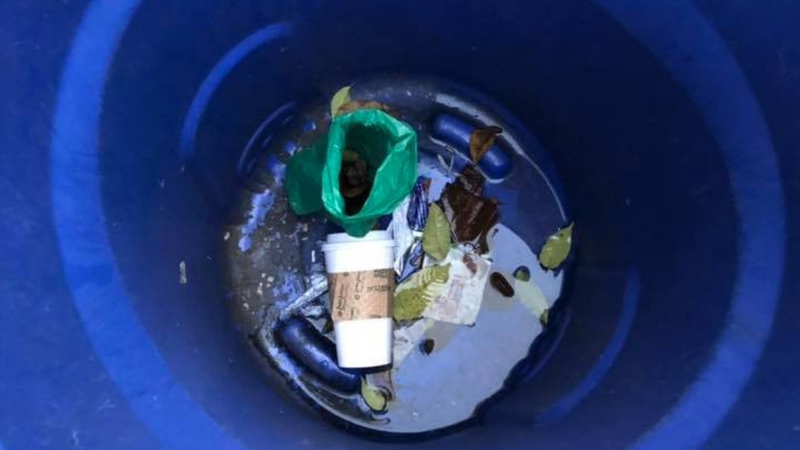 Back in April, a resident of West Conshohocken took to Facebook to complain about people putting dog poop in his trash and recycling bins. Things have been quiet since then, but yesterday, the same resident found a bag of dog poop in his recycling bin and it wasn’t even tied off. The photo is at top.